WellTrips believe that all people should have the same rights to experience the world. It should be easy to travel and make hotel reservations, regardless of your special needs. Help us to inspire others and to become better at what we do. On this page we publish travel stories from some of our customers. Submit yours to us too! We land at Florence Airport late Friday night. We get picked up by a driver whom the hotel already booked for us. It’s late so it feels good that everything runs smoothly. After a 20 minute drive we arrive at our hotel, the Palazzo Belfiore. 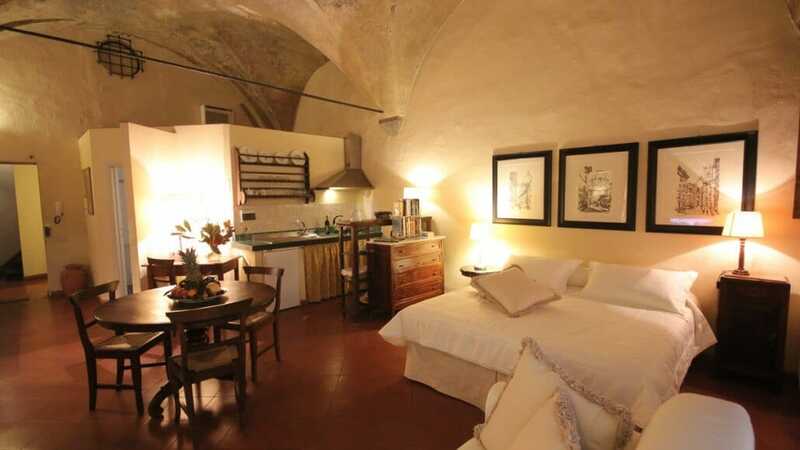 It is an old building from the 15th century right in the heart of Florence, Italy. A large wooden door openes and you are welcomed by the great staff. With the help of a fold-out ramp, you enter through the entrance that otherwise have a threshold of about 20 cm. It requires a bit of arm strength to push up the ramp by oneself but the staff will be glad to help if necessary. 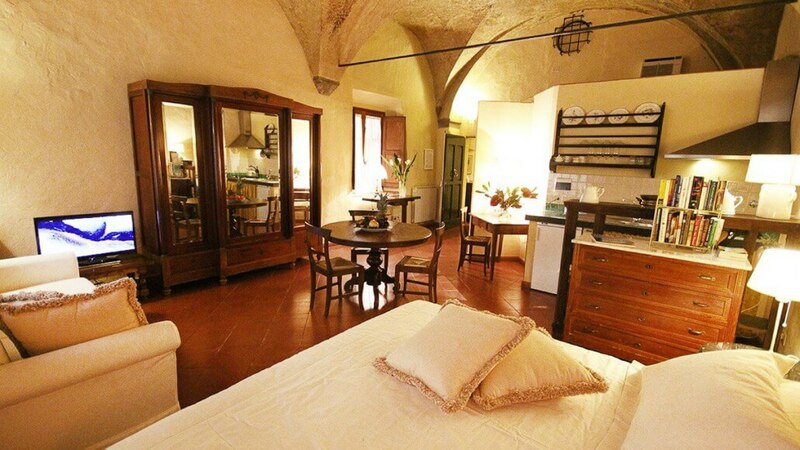 The apartment is on the main floor and is named after Francesco de ‘Medici, who was a Grand Duke of Florence during the 1500s. When we step into the apartment, we are stunned by how beautiful it is. Arch ceiling with a height of around 4 meters, large open spaces, a bottle of rosé wine and a large fruit bowl on the table as the icing on the cake. There is a kitchen with everything you need and a large newly built accessible bathroom with a good shower and a shower chair. 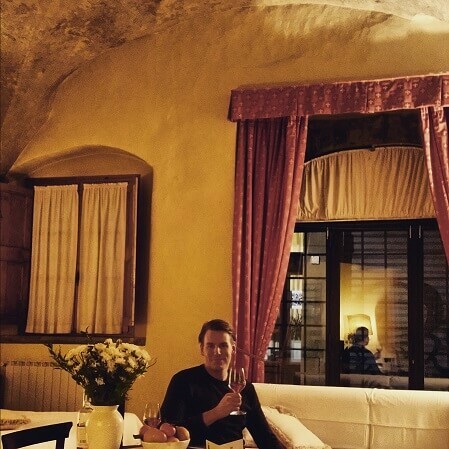 We make ourselves at home and take a glass of rosé wine before we go out for a late dinner. Florence is beautiful after dusk when it really feels like you jumped into a time machine and traveled back in time a few hundred years. The old architecture is preserved and the glowing streetlights cast a yellow flaming light on the city that enhances the feeling even more. After our dinner, we go to a large square called Piazza Santo Spirito. There are many good bars located around the square where apparently many of Florence’s artistic souls tend to go and have a glass of wine or beer. This evening was no different. People stood all over the square and hung out with a drink they bought in one of the bars around the square. The atmosphere was very good and the Italian way of life was a fact. The next day we went for a little sightseeing and shopping. Florence is so beautiful and just the right size making it quite easy to walk around the city for a day and visit museums and landmarks. However, even though it’s close between all the museums and points of interest it is impossible to do everything in one weekend since Florence has so much to offer. We devote the day to stroll around, visit smal shops, eating good food and drinking good wine. Most streets are built of large flat stones which can make it a little bumpy here and there but overall it works well with a wheelchair. From Palazzo Belfiore it’s close to everything. 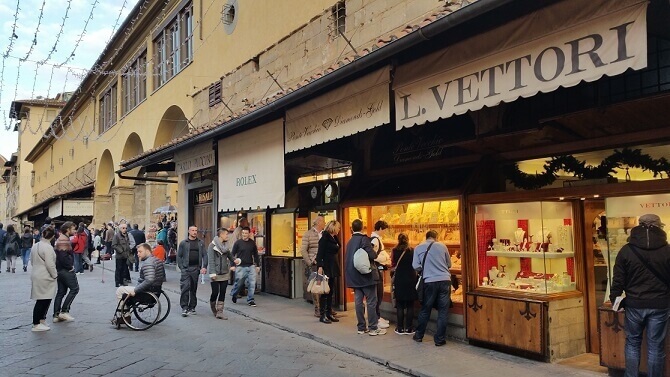 Just a few hundred meters away you will find the river that runs through Florence and the famous bridges that go over with all its small shops. These bridges are also a perfect vantage point where you get a good view of the city and the surrounding Tuscan hills. 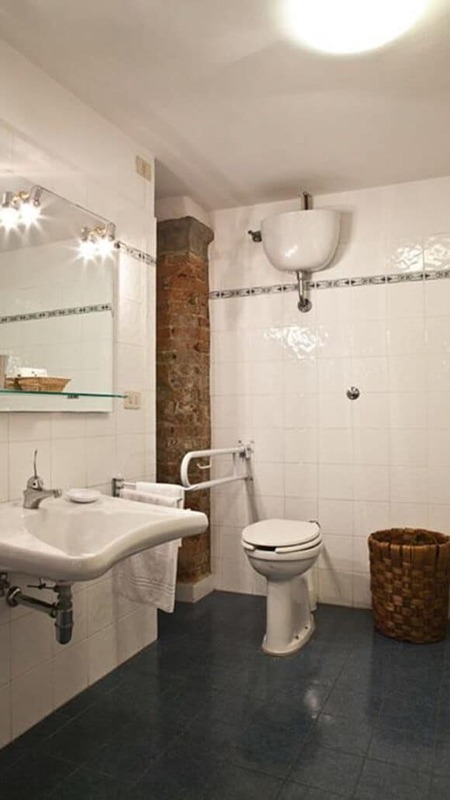 We at Well Trips strongly recommend Florence and the Palazzo Belfiore with their amazing staff that really made us feel welcome. Please feel free to contact us if you have any questions! Send in your own travel story! Do you have your own travel story you want to share? 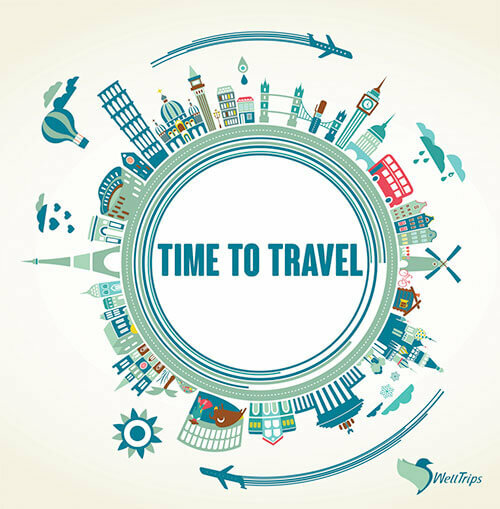 Let others be inspired to travel with WellTrips! Submit your story via e-mail to WellTrips here!